Polling in 15 Assembly in Bihar closes. Polling for Phase 1 Lok Sabha Elections 2019 concluded at 6 pm. 53% voting was registered. Voting in Aurangabad, Gaya, Jamui and Nawada were 49.85, 56, 54 and 52.50 per cent respectively. According to CNN Hindi report, bombs were recovered near a voting centre in Gaya, two tiffin bombs were also found in Aurangabad. 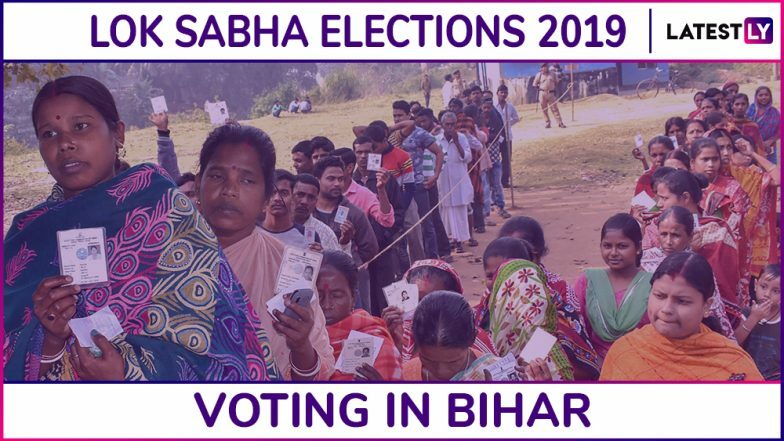 A total of 55,07,053 voters would be exercising their voting rights in 7,486 polling stations in the first phase in these four constituencies in Bihar. The state also has 45,000 service voters in the first phase. Besides live webcast of polling stations at 350 booths would be done. Helicopters and air ambulances have been pressed into the service to deal with any emergency. Voting for the Lok Sabha Elections 2019 will take place in seven phases. While the first phase of voting is being held today, the last phase of voting will take place on May 19. In Bihar, voting will take place in all the seven phases. The counting of votes will take place on May 23.